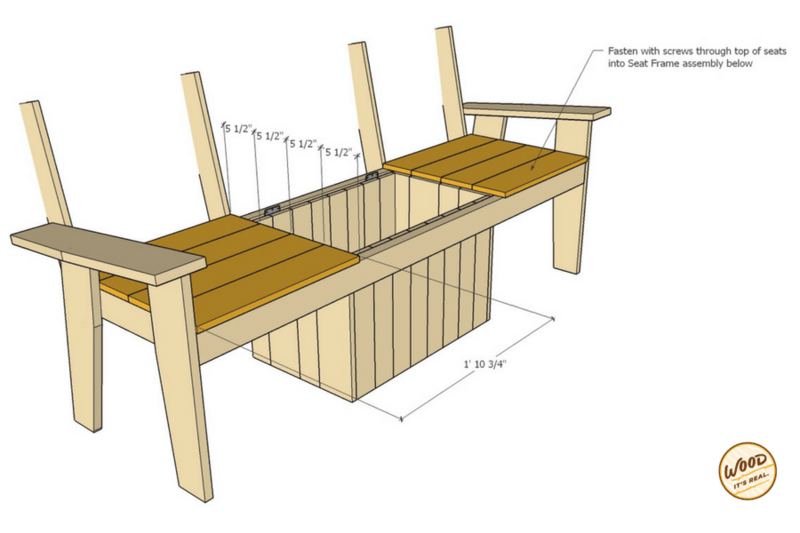 Build It: The Most Amazing Cooler Bench Ever | Wood. It's Real. | Wood. It's Real. A bench. A cooler. Put them together and what do you get? 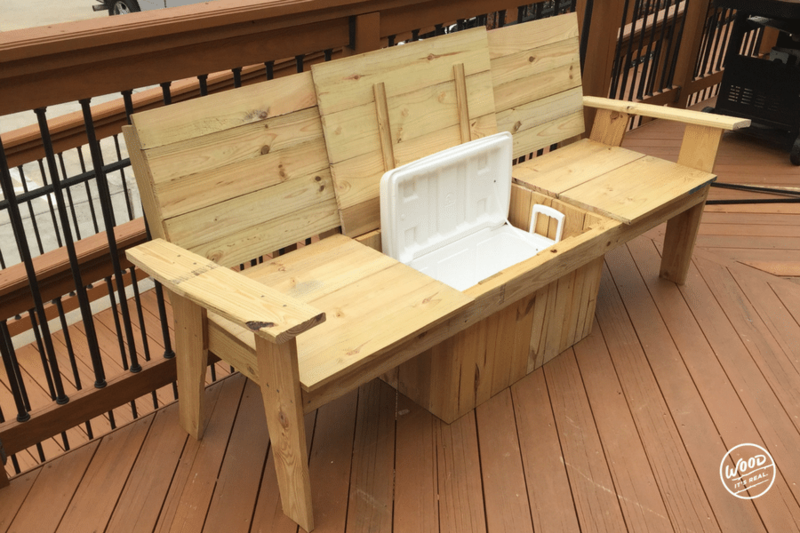 The most amazing Cooler Bench you’ve ever seen. 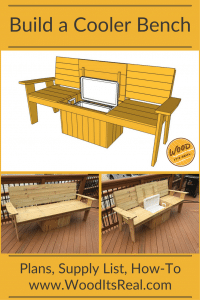 After searching online for plans that incorporated a cooler into a bench – without also having to take that cooler apart and build it into the bench itself – we decided to take a crack at our own plans. 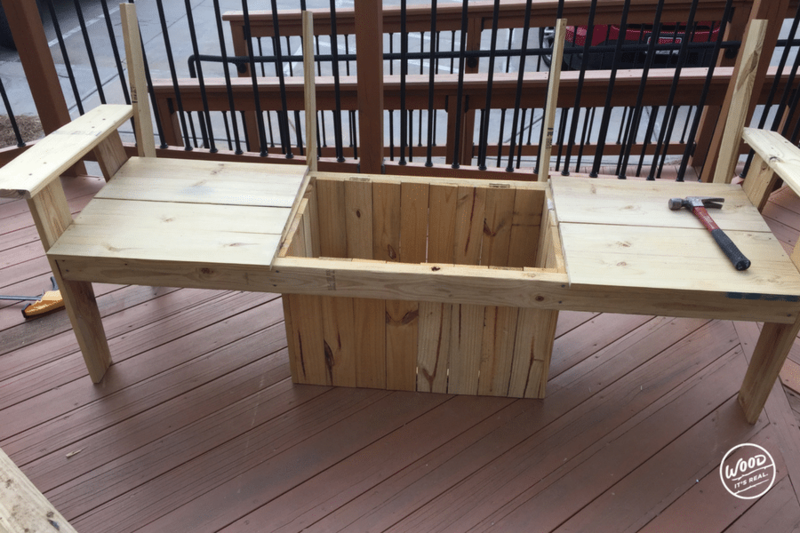 What we came up with is a sturdy, large, and novice-DIYer-friendly project. 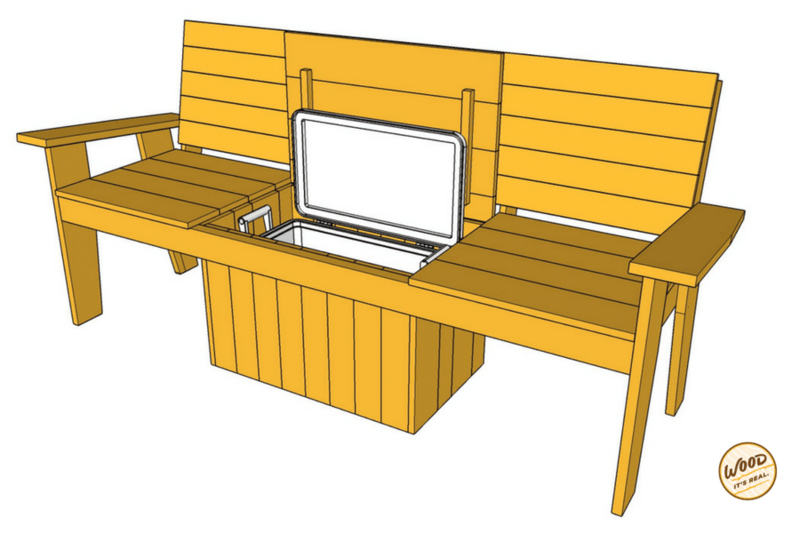 The cooler can be simply dropped into the bench and covered with a hinged seat. 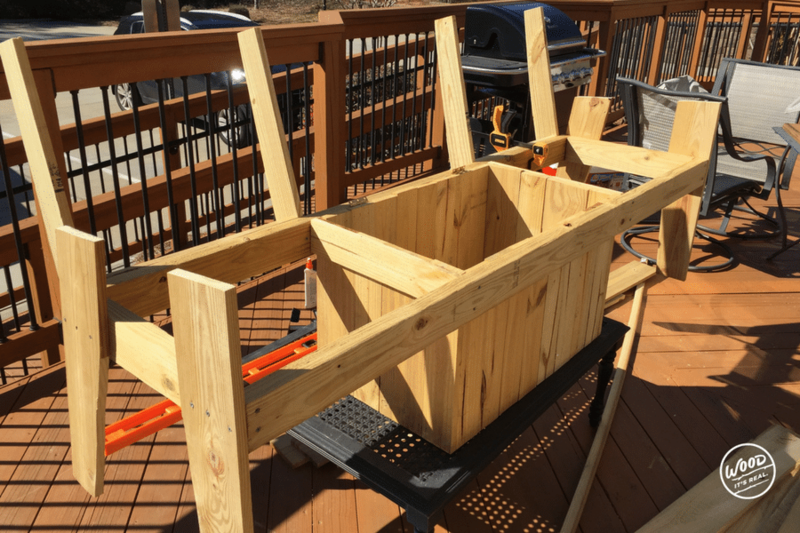 We felt it was important to design and build a cooler bench that could use simple tools and wouldn’t take many weekends to make. 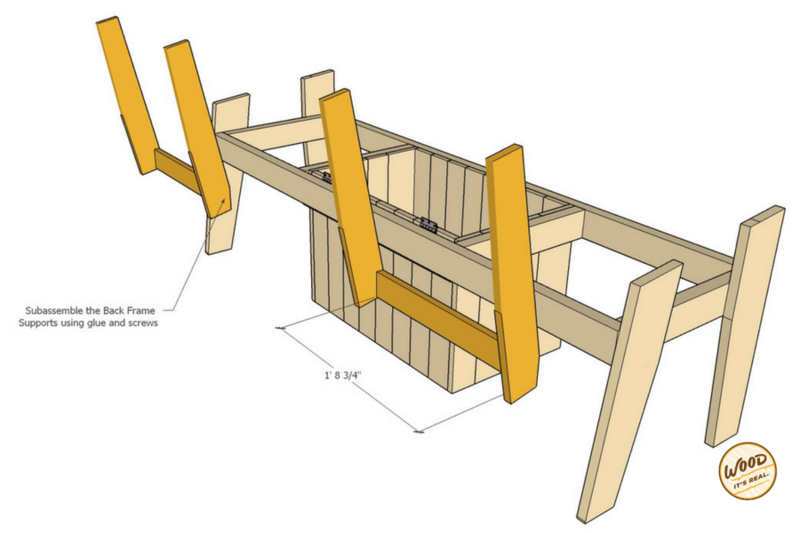 While the real beginner might take a while to build this project, it’s something that most folks can tackle. 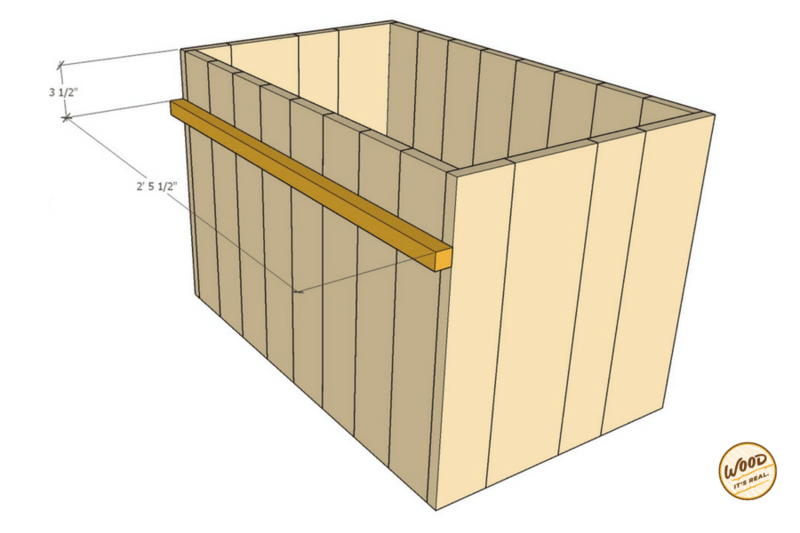 The cool thing about this plan, too, is that you can modify it to fit any cooler you may already have, making it larger or smaller based on your cooler’s dimensions. The one we used can be picked up online or at large retailers for only $15-$20. 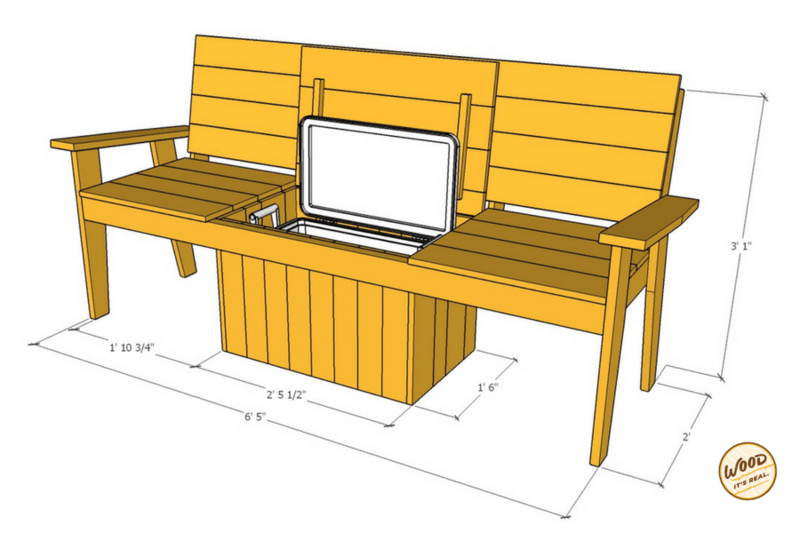 Here’s what we imagined when concocting this design: Someone sitting on their dock or their patio, far away from the kitchen, and wanting easy access to cold beverages and snacks without having to go ALL. THE. WAY. TO. THE. HOUSE. 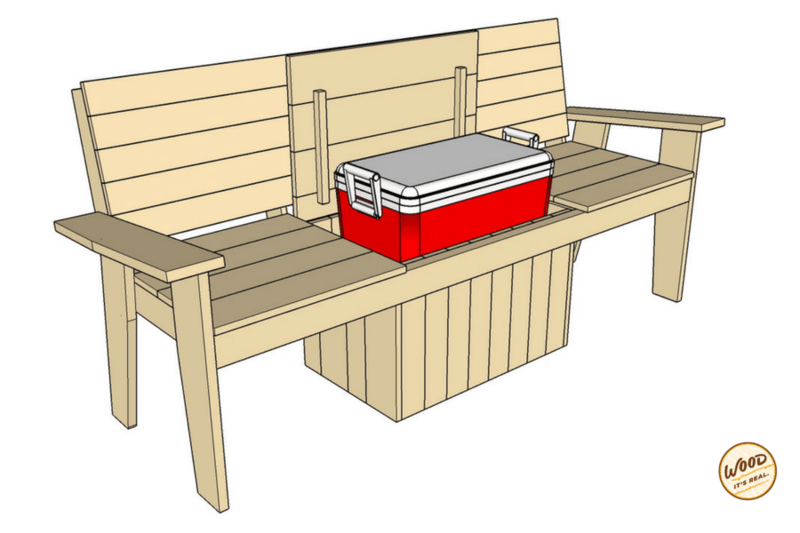 We wanted this easy-access cooler to still be useful outside of just being inside the bench and thought it important that folks be able to remove the cooler to clean it out or take it somewhere else. 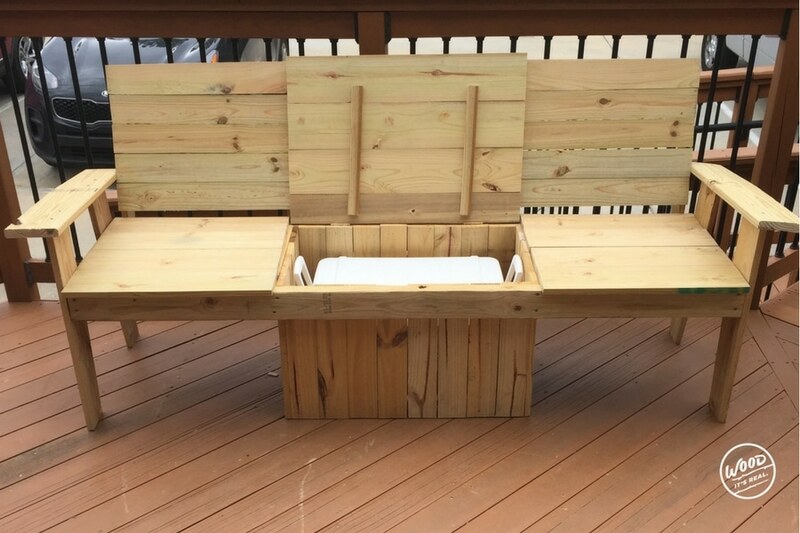 We also thought it would be neat for folks who live in a place where storage at a premium, so they could just store their cooler right in the bench. 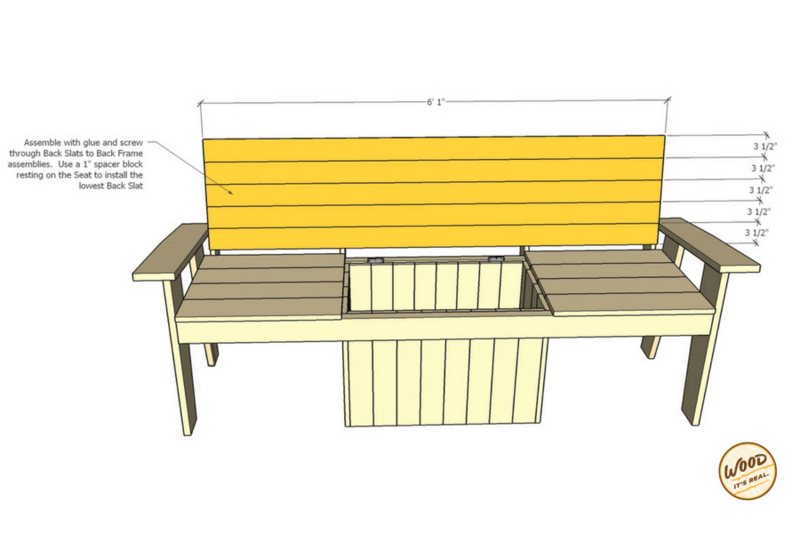 Once you build the bench, you can customize it by painting or staining it. 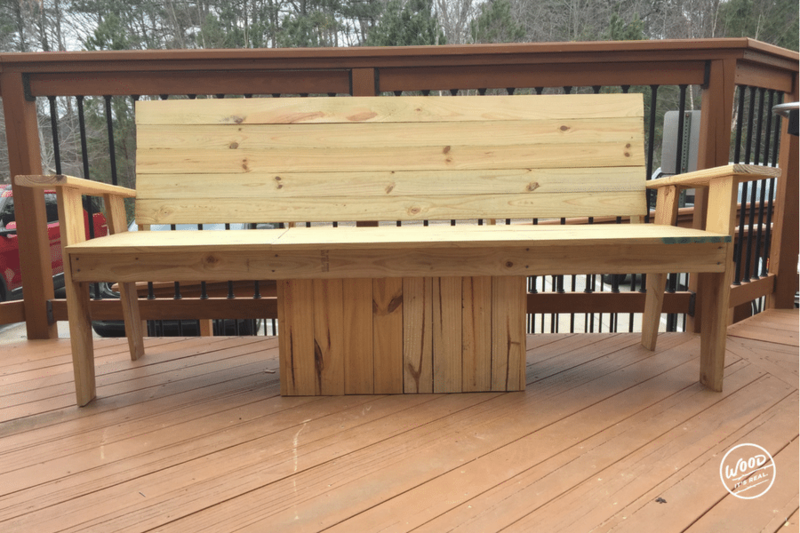 This bench will last a long time outside since it’s built from pressure treated Southern Yellow Pine. 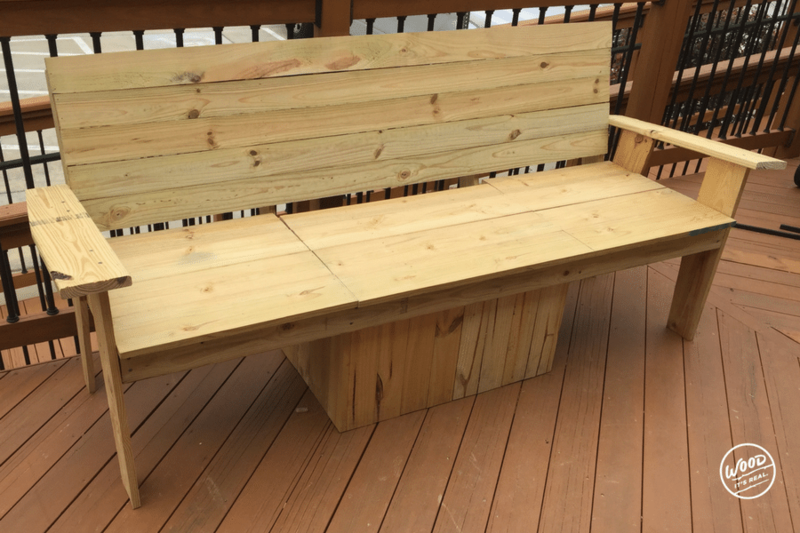 We’d like to point out that if you do plan on putting this bench directly onto grass or dirt, be sure to use lumber treated for Ground Contact for the legs and cooler box. 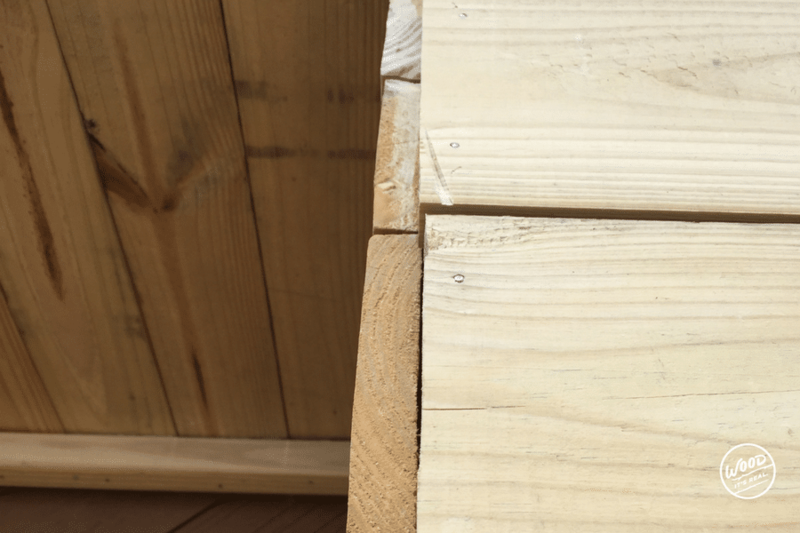 If you’re changing some of the pieces of lumber to Ground Contact, you will need to alter the material list accordingly and you will likely need to edit some of the cuts . 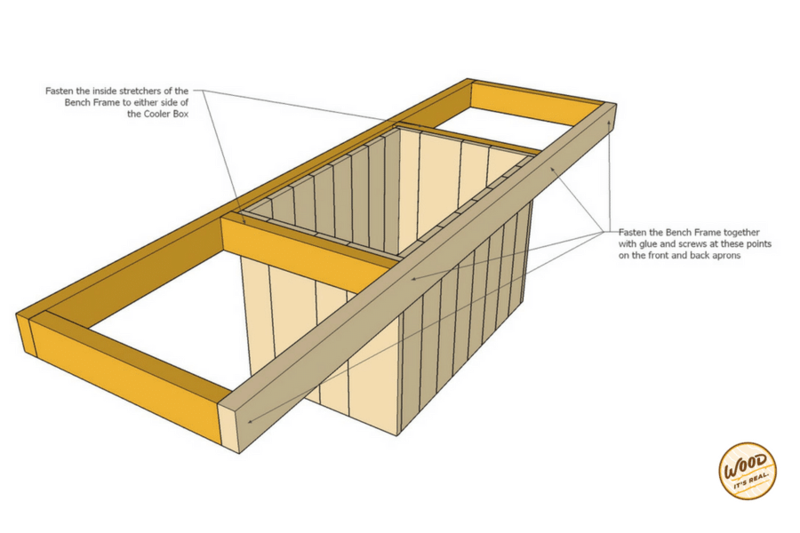 Check out the step-by-step instructions below, or you can print out a cut list and overview of the build here: The Amazing Cooler Bench Ever Printable Instructions. 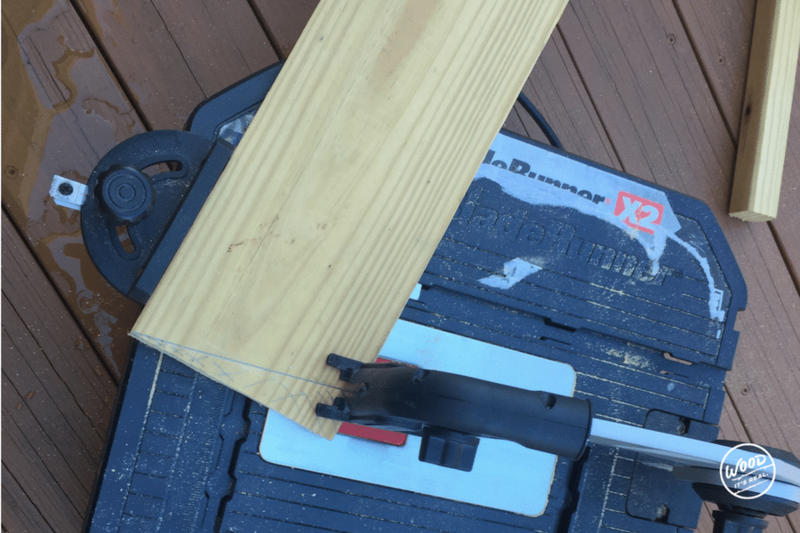 Note: If you don’t own a circular saw, or a table and/or miter saw, your local hardware store might rent out tools to you, or you could potentially find a friend or family member with a wood shop. It can be a good idea to cut off the factory edges of your lumber by running it through a table saw for a super smooth edge, just be careful not to take off too much. 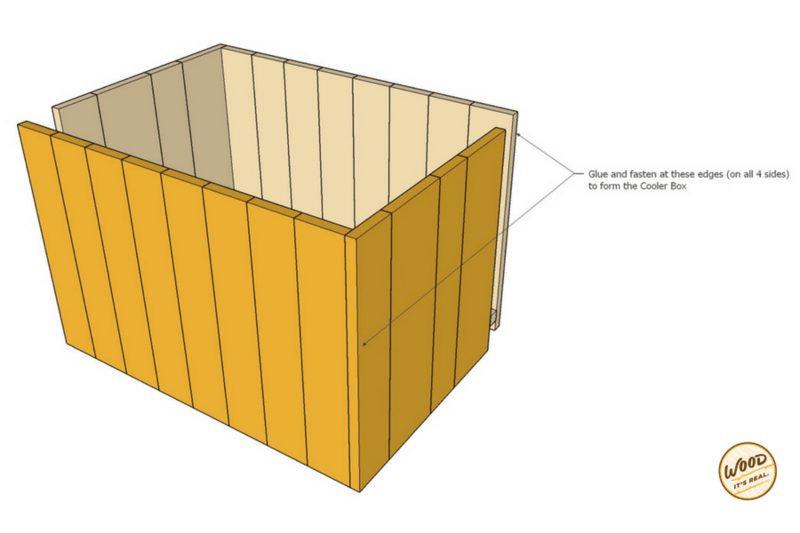 See the how-to video from another project to see what we mean. Otherwise, just be mindful to pick up boards that have super straight edges. 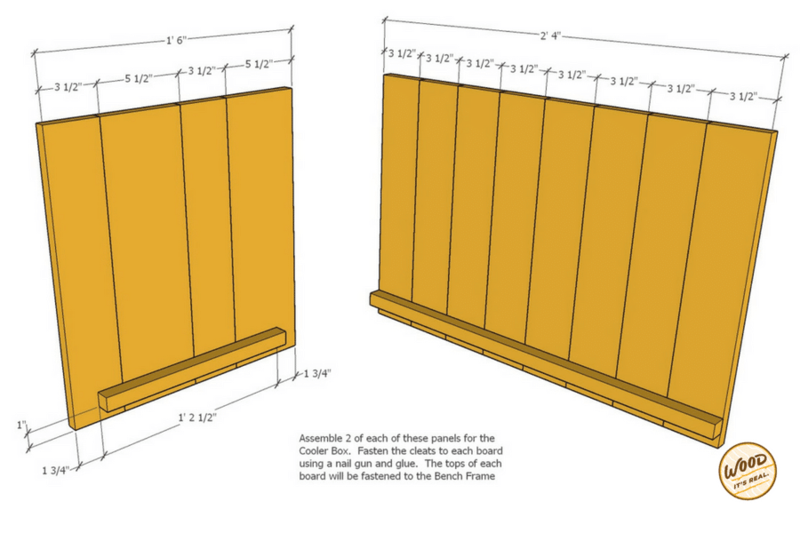 And now for the important part: building this beast of a cooler bench. 1. Assemble two of each of these panels for the cooler box. 2. Fasten the cleats to each board using a nail gun and glue. 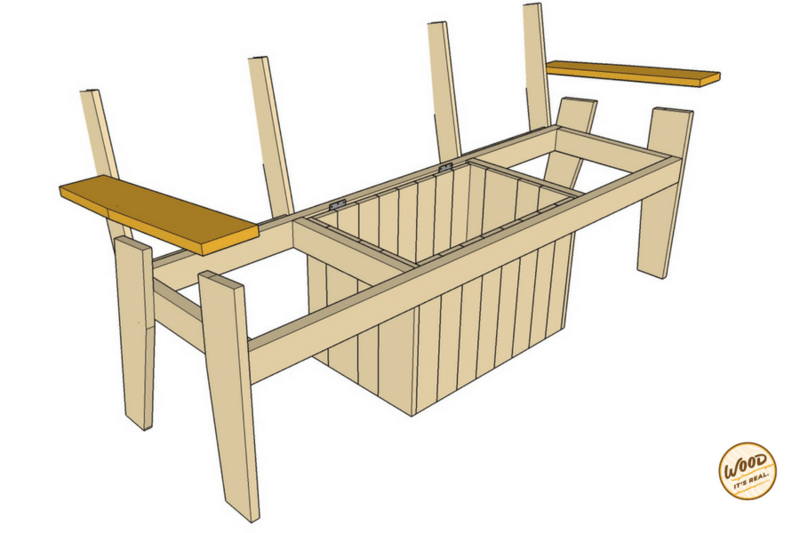 The tops of each board will be fastened to the bench’s frame. 3. Glue and fasten at the edges on all four sides to form the cooler box. 4. 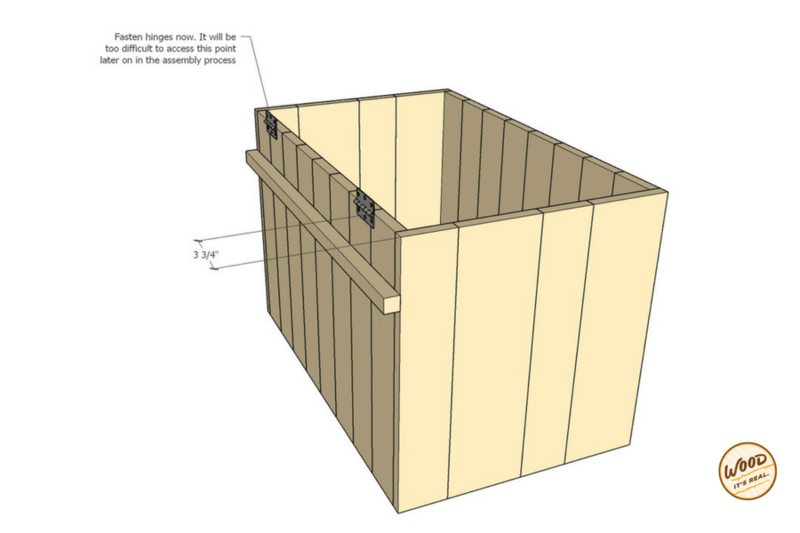 Attach a cleat to the back of the cooler box to help give support to the back and to help keep the box together. 5. Fasten the piano hinges now to the back of the cooler box. It will be too hard later on to attach these. 1. Center a 6’3″ 2×4 on the front of the cooler box. 2. Fasten the board with wood glue and decking screws. 3. 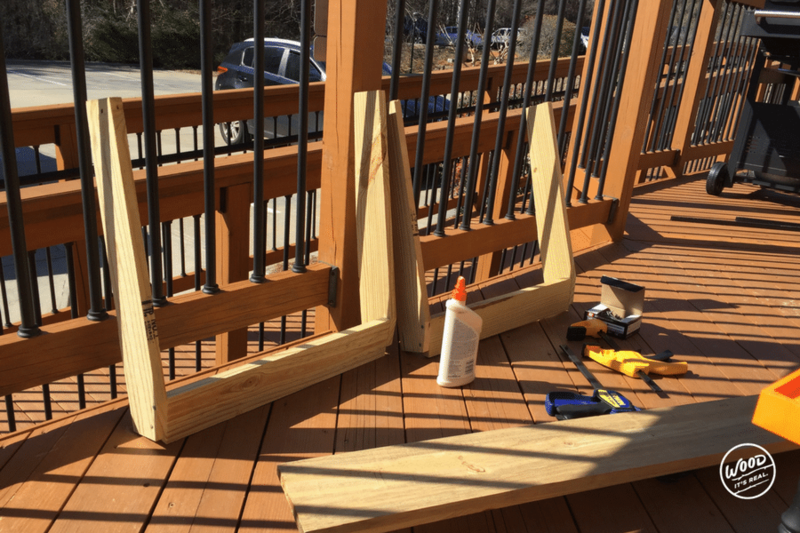 Fasten the remaining 2×4 frame pieces using wood glue and decking screws. You might notice this box is starting to resemble a bench. 1. 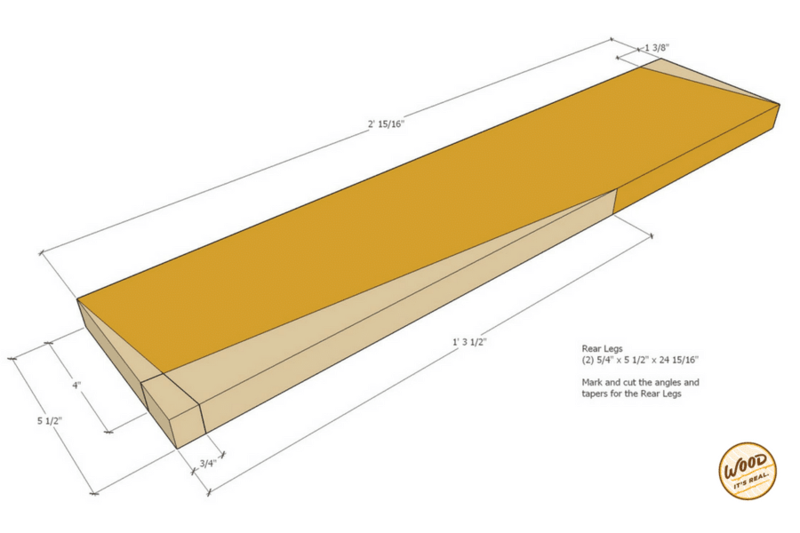 Use a table saw, circular saw or miter saw to get the angle cuts into the leg. The most important angle cut here will be the little one at the top, which will allow an angled armrest later on in the build. 2. Cut the angles for the rear legs. If you don’t feel like cutting the longer angles on any of these legs, it’s all good. You’ll just end up having the legs look a little bit chunkier. 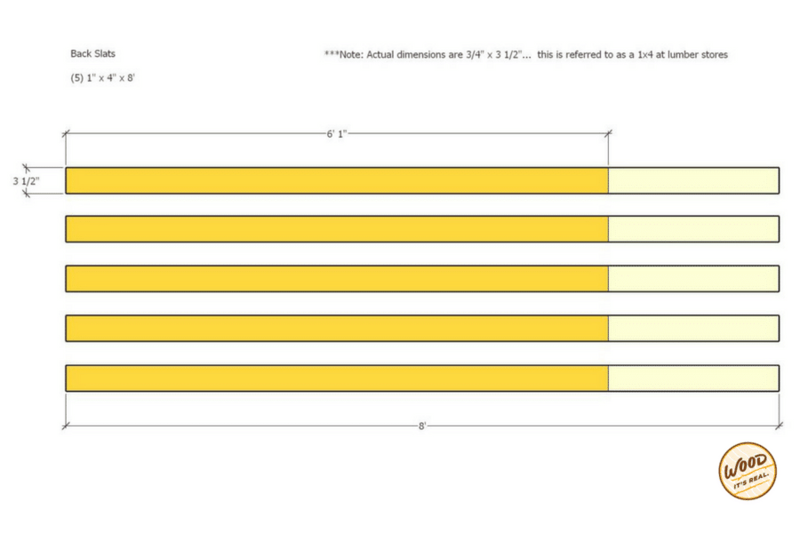 Repeat: chunky legs are OK.
3. 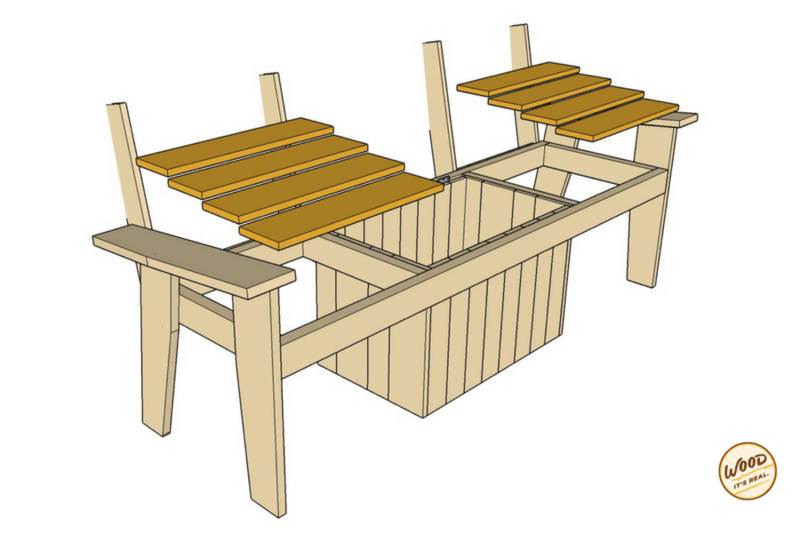 Glue and screw the front legs to they sit flush with the front apron of the bench frame. 4. Glue and screw the back legs where the edge of the back legs meet near the top corner of the side frame. 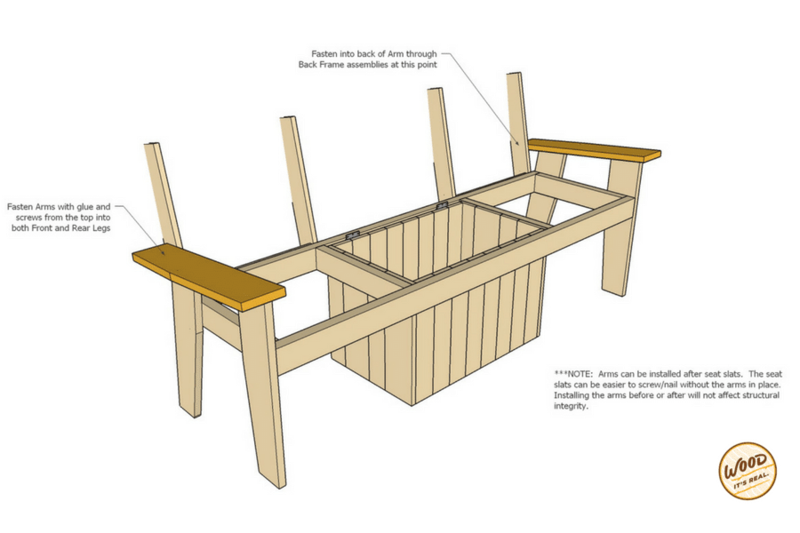 The back legs will angle back slightly and will not be flush to the frame. 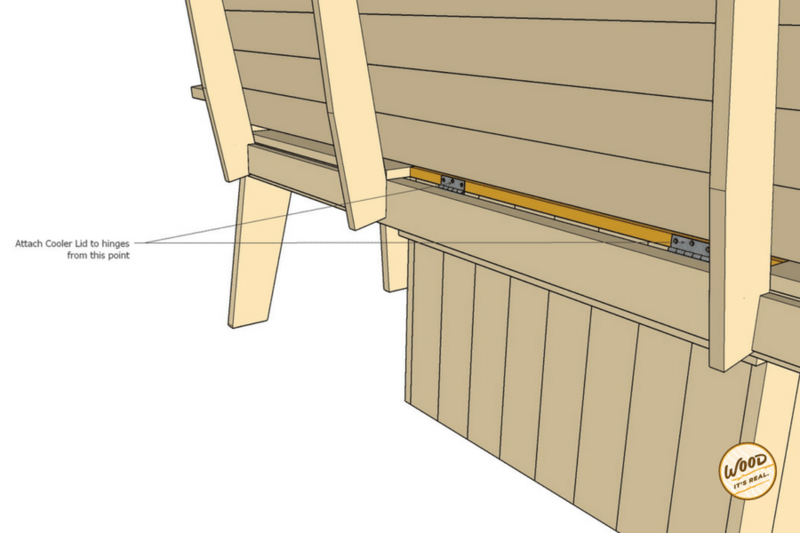 To make sure you have the back legs in the right spot, you’ll test the angle of the arms using a flat board on the top to keep the height and angles correct. 5. 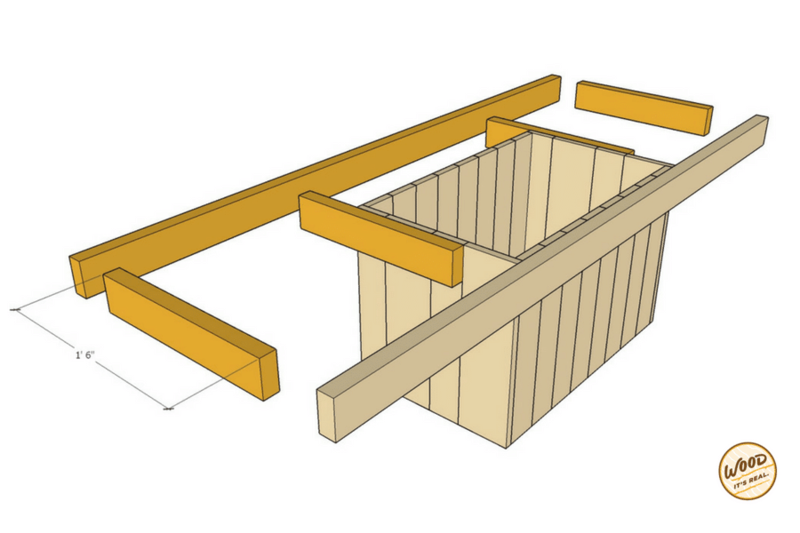 Install the back and front legs on a level surface. 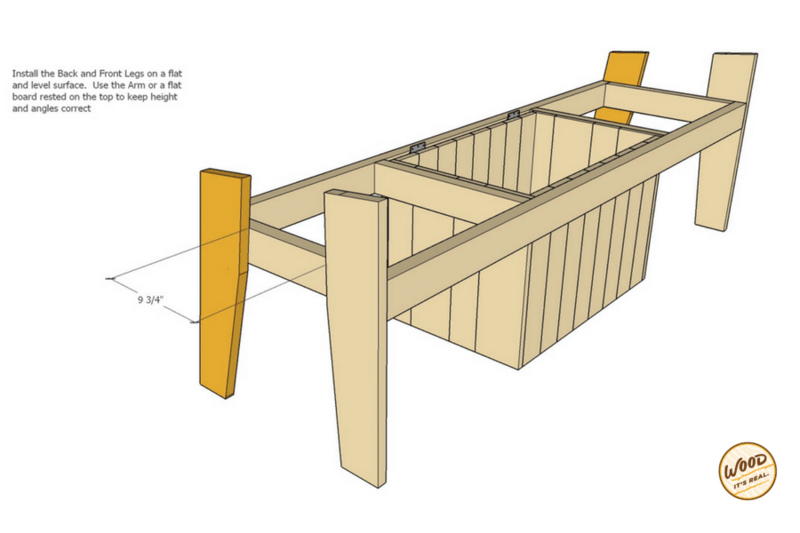 Test the angle of the arms using a flat board on the top to keep the height and angles correct. 1. 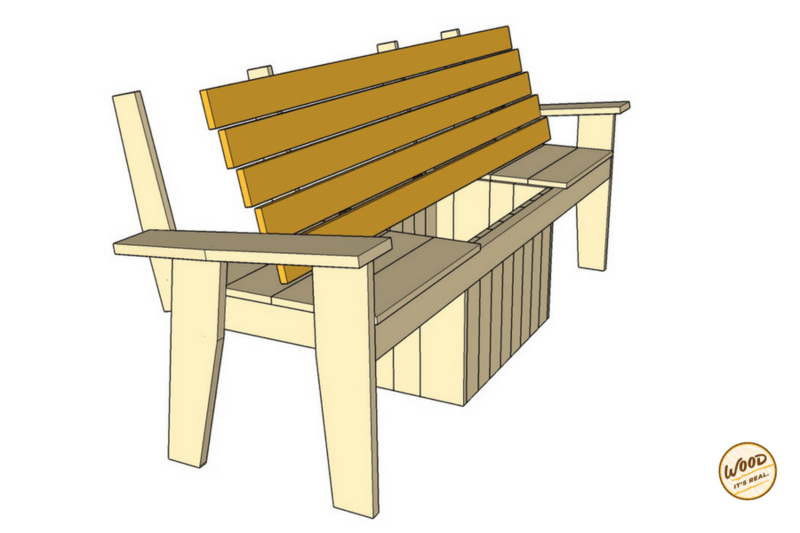 The back frame will also have an ever-so-slight angle for laid back times on this bench. Mark and cut four boards as instructed in the picture above. 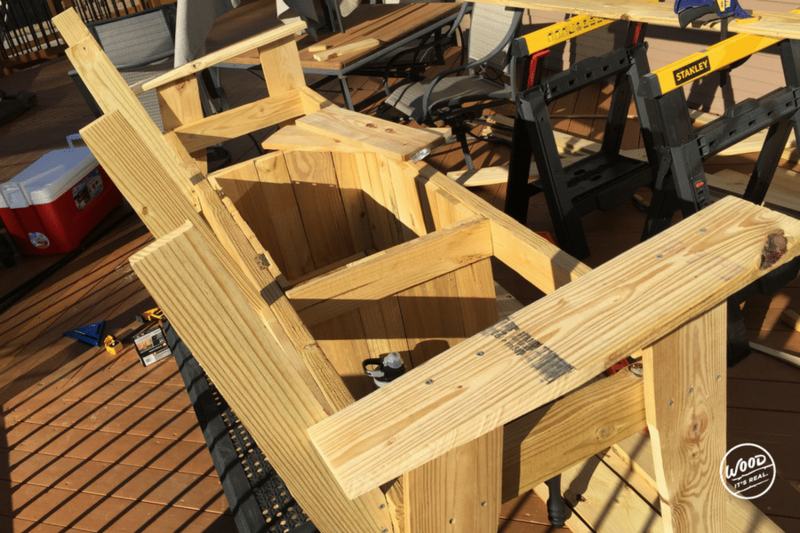 The most important cut here is the shorter angle (the 2.75″ cut), as that’s what mounts to the bench frame and will give the seat back an angle. If you choose not to cut the longer angle, the back will just look more square and slightly less refined. 2. 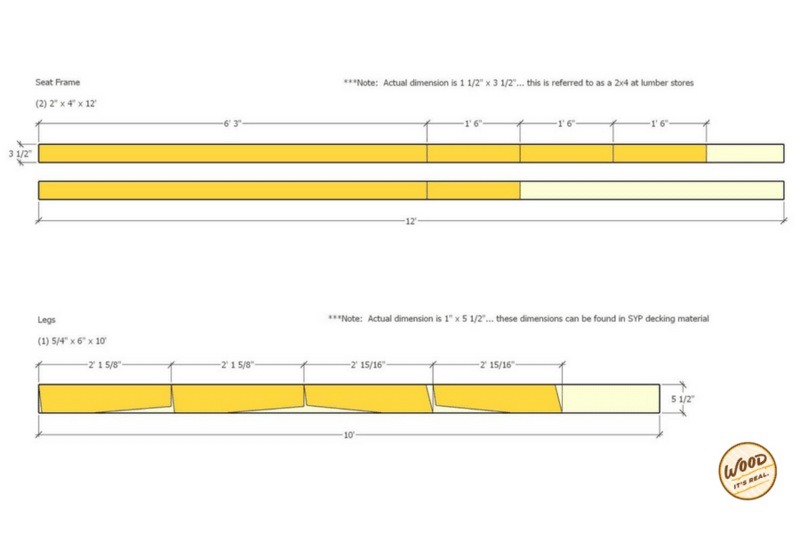 Cut two boards for the bottom part of the back seat frame, each bottom board for the seat frame will be 20.75″ long. 3. 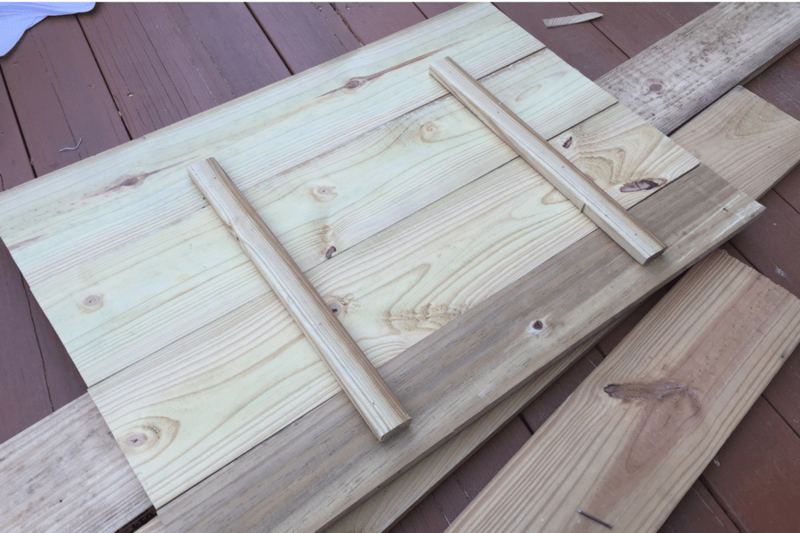 Build the frames by gluing and screwing the angle-cut boards to the bottom boards you just cut. 4. 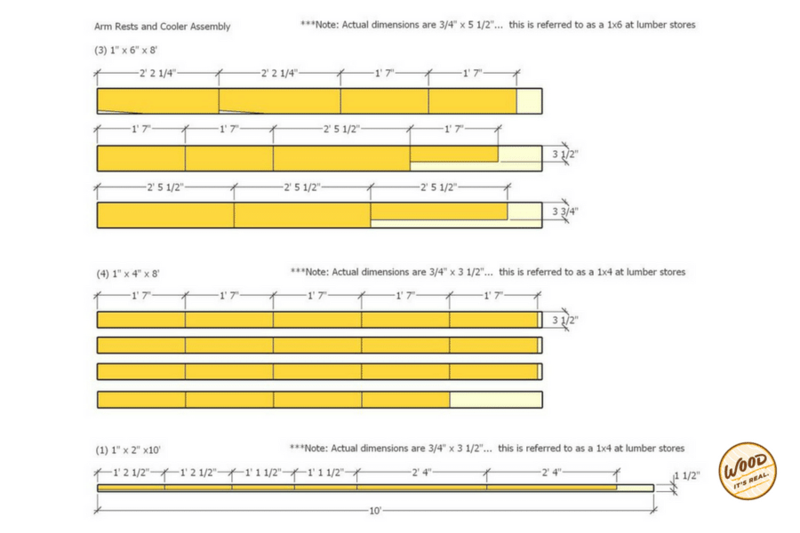 Measure 1″ in from the end of the bench frame. 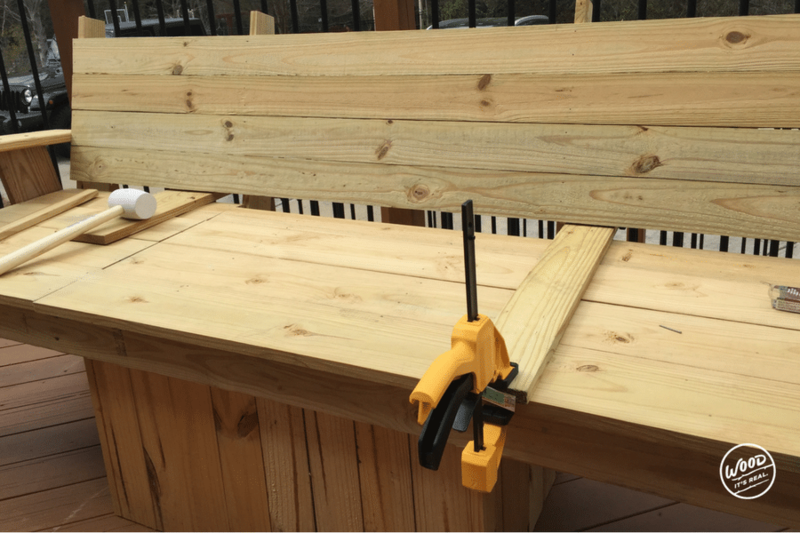 Attach the back seat frames to the back of the bench frame using your wood glue and decking screws. Install the back frame where the top of the short angled cut will meet flush at the top of the seat frame assembly. 1. 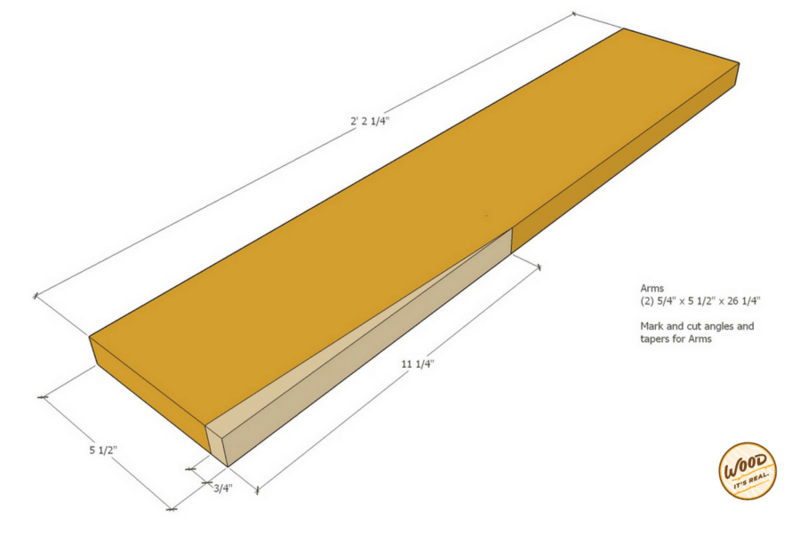 Mark and cut the angle/taper for the bench arms. If you don’t feel like doing the angle, it won’t affect the function of the arms, it just won’t have that little refined edge. 2. The reason we mention you can do the arms as the last step is because it will be easier to install the seats without the arms already in place. But if you want to go for it now, that’s cool too! 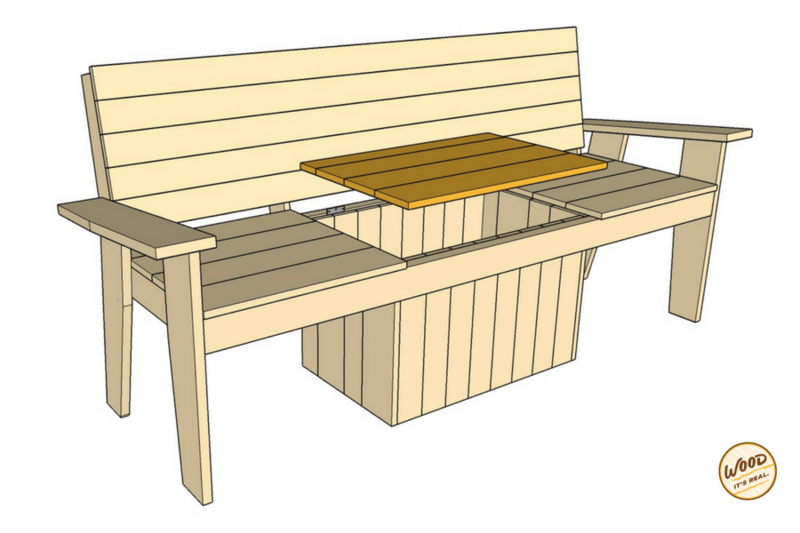 Installing them now or later won’t affect the structural integrity of the bench. 3. Fasten the arms, whether it’s now or later, with glue and screws into the top of both the front and rear legs. 4. Attach the arms to the seat back frame as well, from the inside of the seat back frame as noted above. 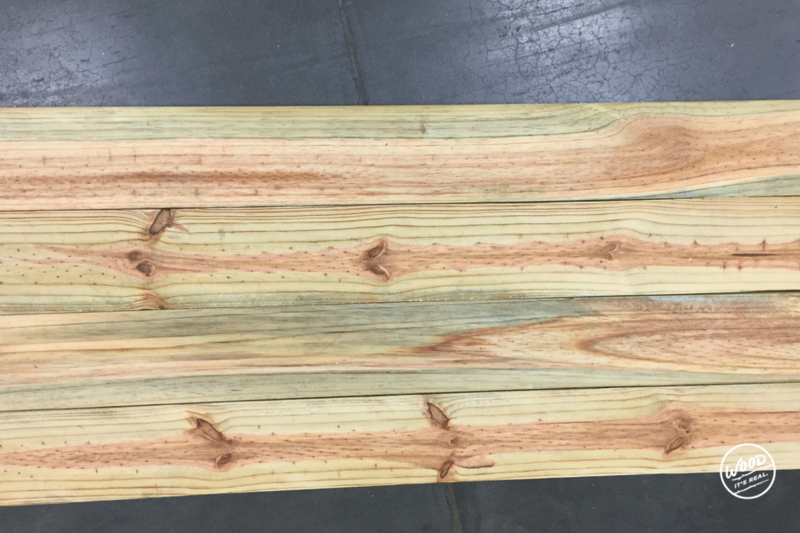 When you’re picking out your boards for both the bench seat and the bench back, lay them out at the store to see how well they fit together and to make sure your boards aren’t bowed or curved. 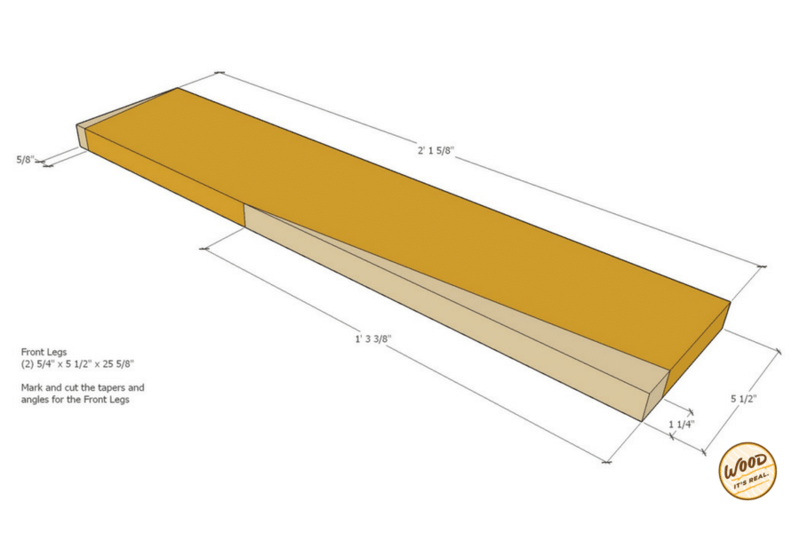 This is especially important if you don’t have a table saw to plane the edges of the lumber. You want the boards to fit as flush as possible. 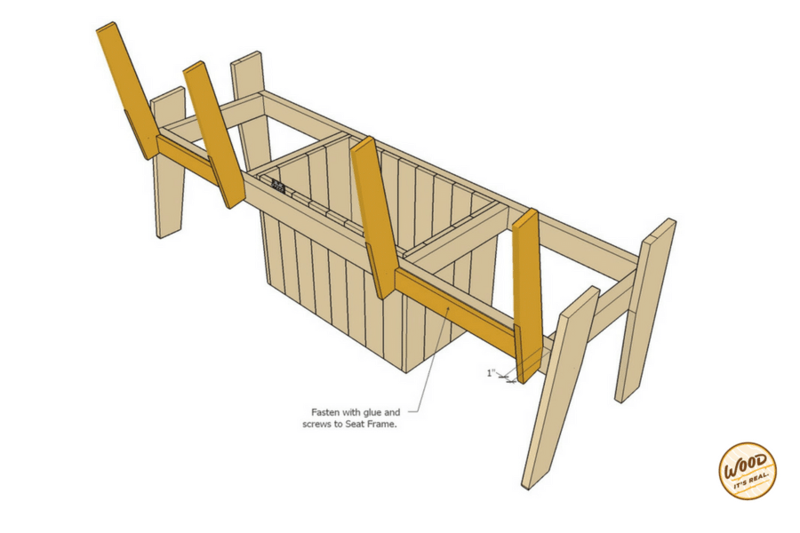 You can even number the boards at both ends to help you remember the order of the best way for the slats to lay, with 1 being in the front, for example. 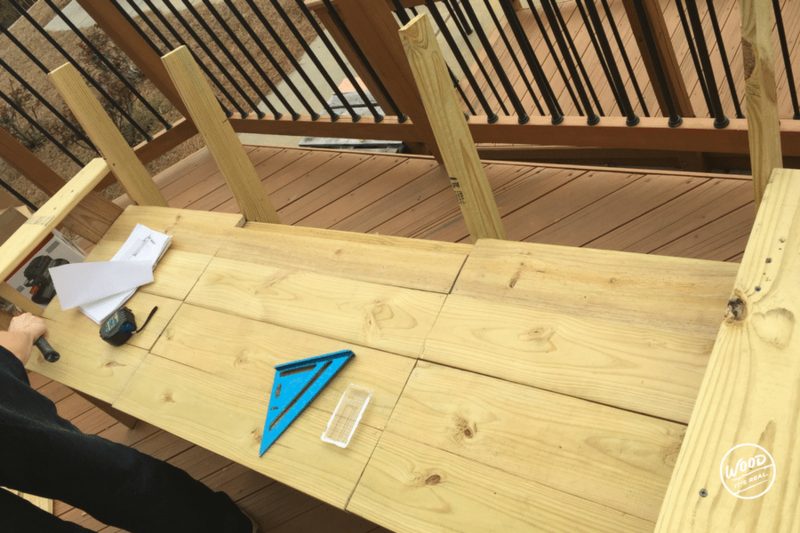 If you want to make the cuts as perfect is possible to the cooler bench box, you can lay out the boards the full length of the bench seat and mark from there. That way, after you cut your boards and the bench all comes together, you’ll have a very small gap for the lid to open and close. 2. 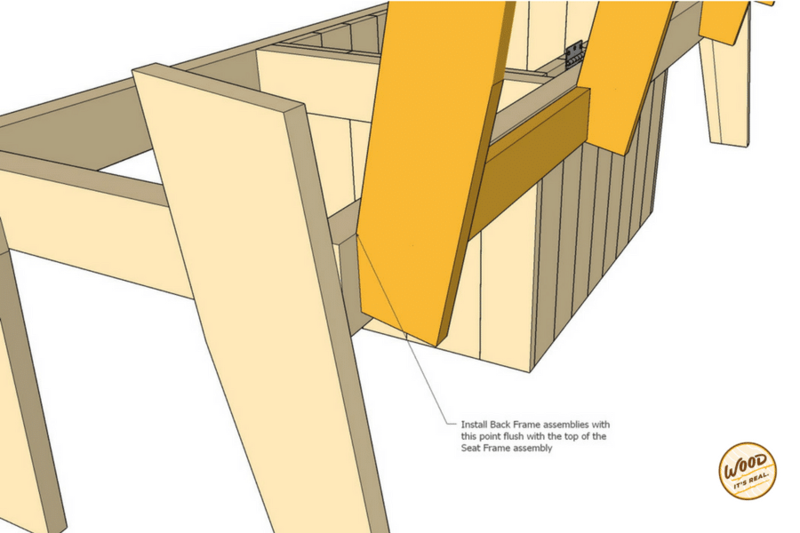 Fasten the seat slats to the top of the seat frame using finishing nails or decking screws. No matter how hard you try, things might not be absolutely perfect. And that’s OK. Your inner perfectionist might have to do some deep breathing exercises to calm down. This is especially true if you’re not a professional and aren’t working with professional-level tools. 1. It’s nearly time to sit back and enjoy your bench. 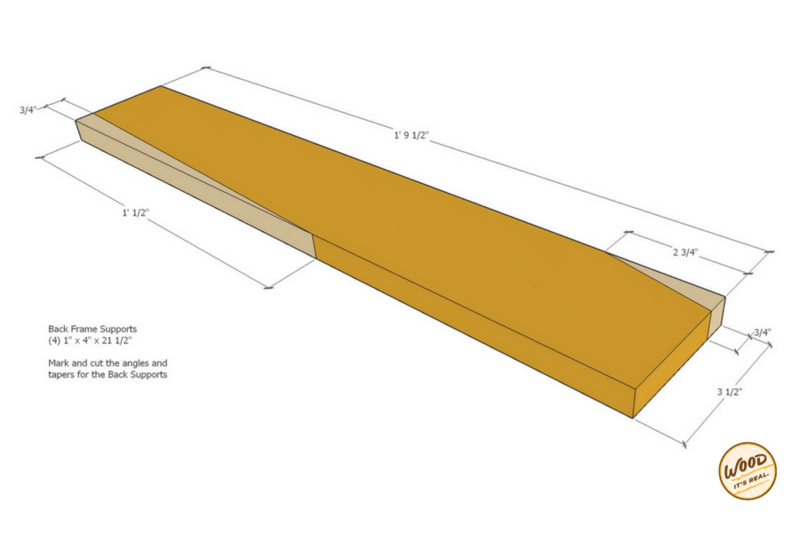 Cut your boards to the length of the back of your bench, 6′ 1″. 2. 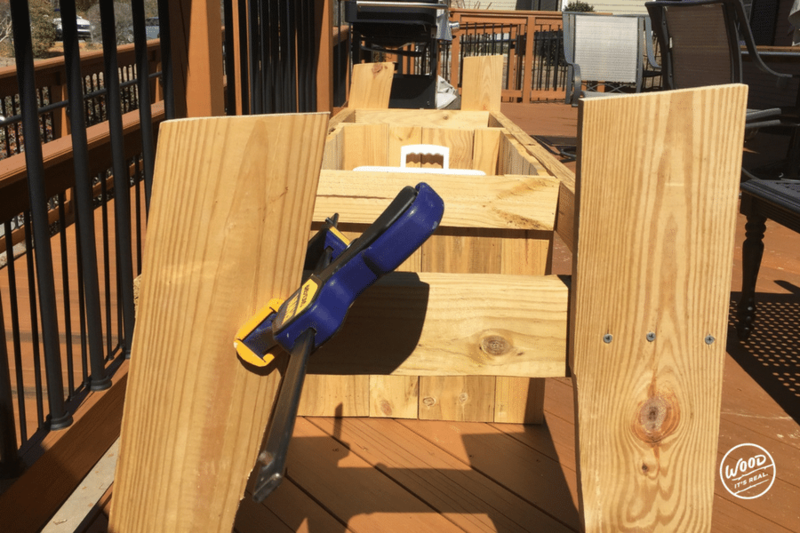 Using 1″ spacer blocks underneath the lowest back slate, attach the boards using glue and finishing nails/nail gun nails to the seat back frame assembly. 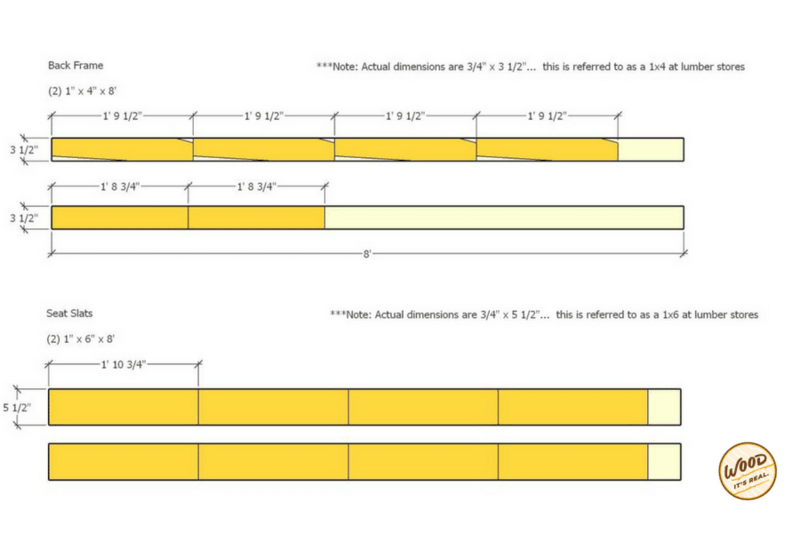 Here’s how we used spacers. Make sure the boards on the back of your seat are level. It’s so great seeing that bubble in the middle of the lines. 1. 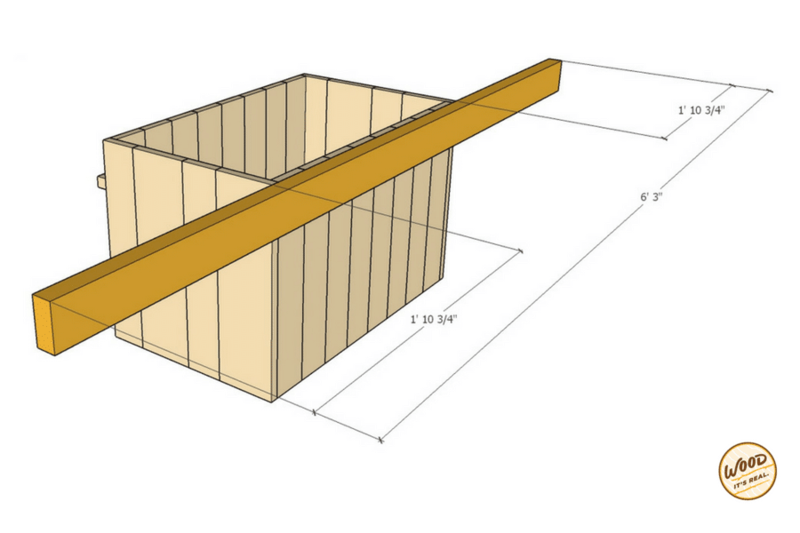 Measure and cut the boards for the lid. 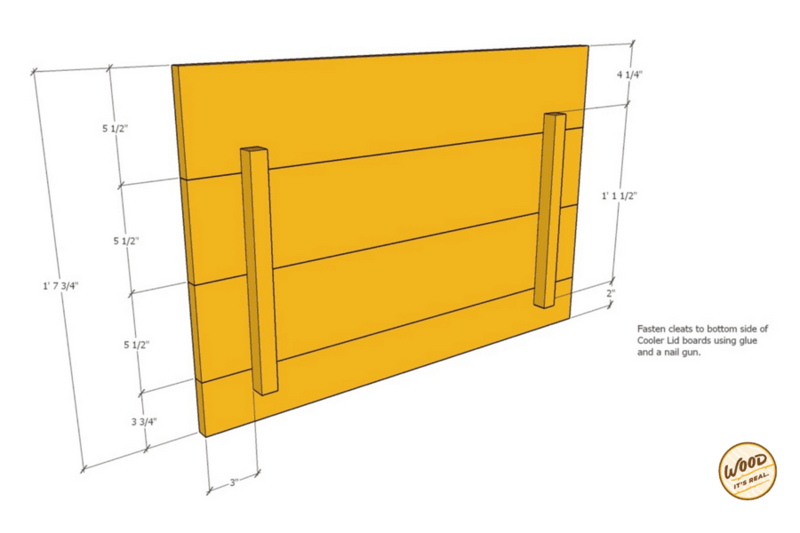 Note that the last board, the one that will attach to the hinges is not as wide as the others, and will need to be cut to 3.75″ wide. 2. 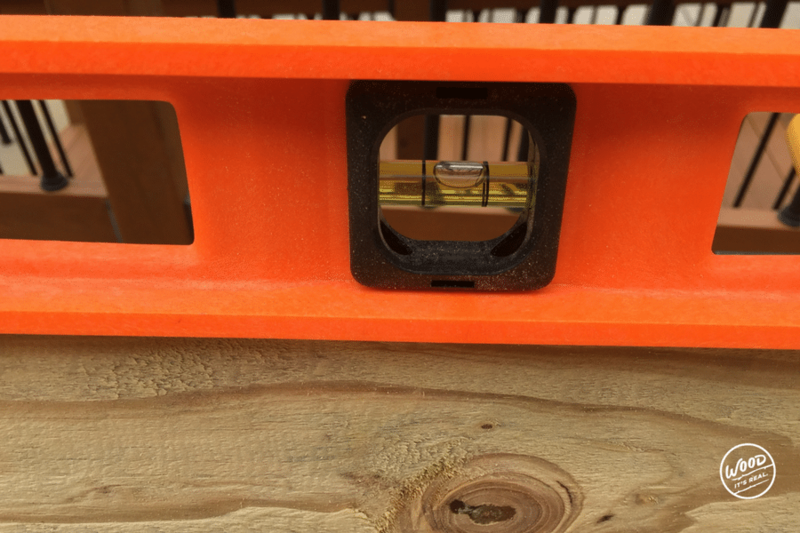 Fasten cleats to the bottom side of the cooler lid boards using glue and a nail gun. 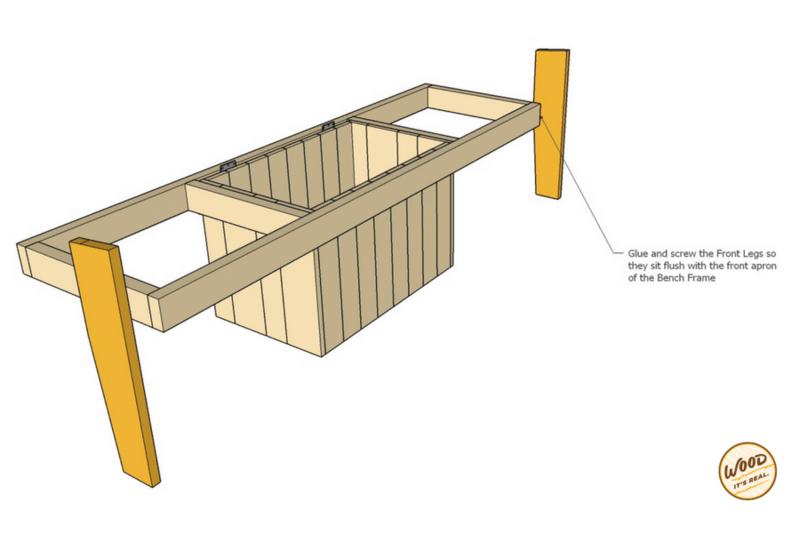 Measure 3 or so inches in from the outside of the lid frame boards to attach the cleats. 2. Drop the lid assembly into place, lining up the boards as closely as possible to the seat boards. 3. Attach the hinges to the back board of the cooler lid. Moment of truth: will the lid open and close without issues? 1. 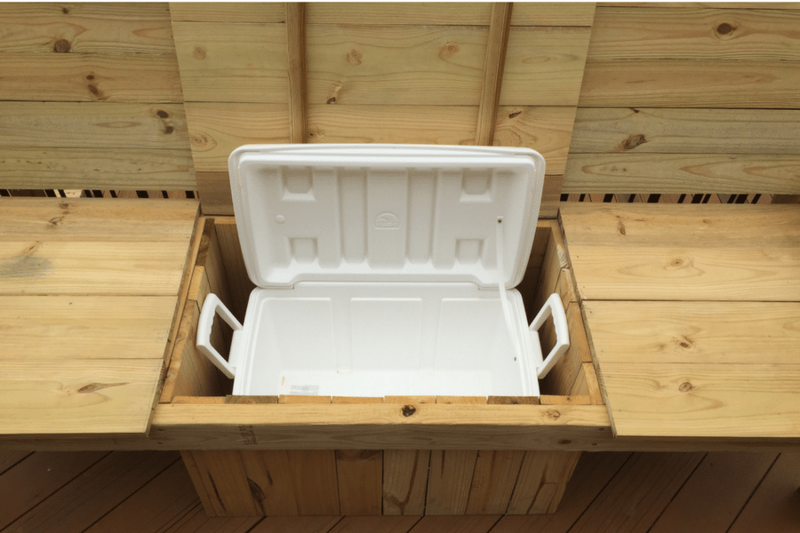 Drop in your cooler with your perfectly built and installed cooler box lid.